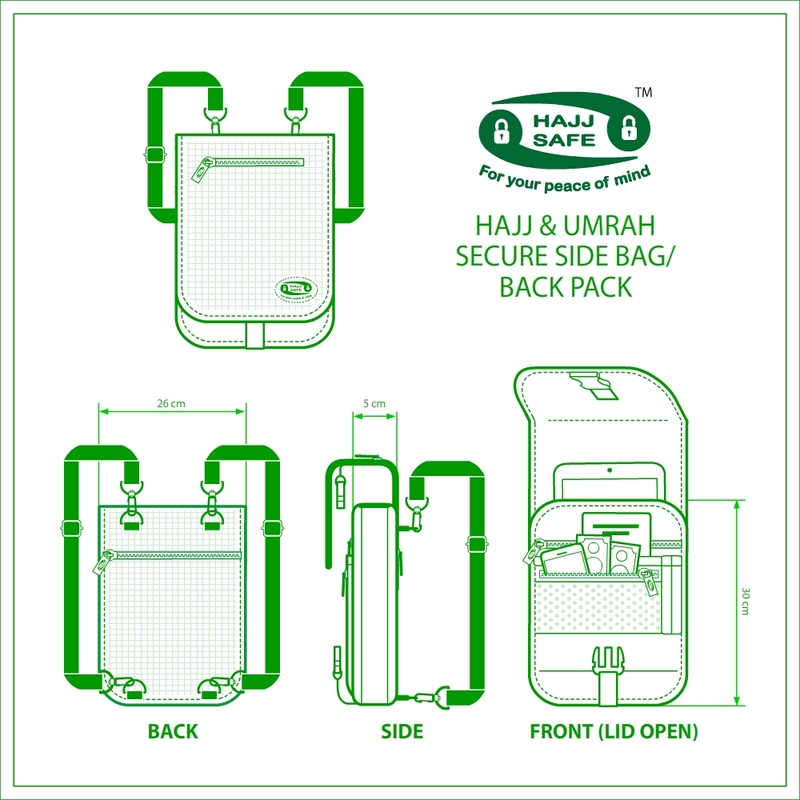 The Hajj Safe Secure Side Bag and Back Pack is a unique product. Designed with Pilgrims in mind, this bag can be used as a side bag when your out shopping, and need quick and easy access to your wallet or purse. But when your walking from say Muzdalifah to Mina or walking to the Jaamarat or your doing Tawaf then you can use it as a Back Pack and distribute the weight. 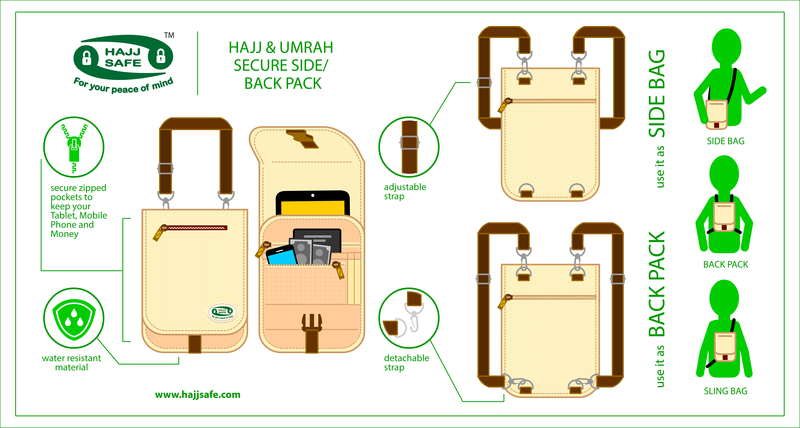 Completely multi-functional this product gives you the space and pockets to hold all of your most valuable belongings including you Dua books and much more.